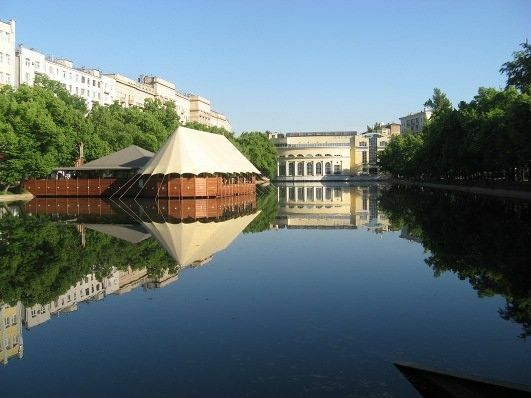 Одно из самых мистических мест Москвы (оne of the most mystical places of Moscow) are no doubts Чистые пруды (Chistye prudy, the Clean ponds) and its nearby areas. Its unusual, often destructive energy has been known since immemorial times. 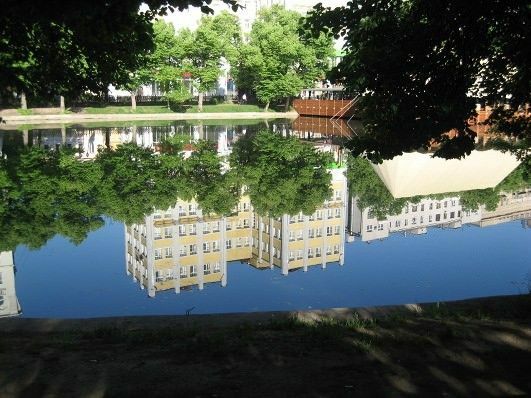 For this reason, the ponds were originally called “Поганые” (Pagan). There are several versions of the origin of this toponym, that I will tell you today. The first version pretends that the noun “Поганые” (Pagan) takes its roots in the latin word “paganus” (heathen, pagan). This suggests that the place был центр языческих ритуалов (was the centre of pagan rituals) before the adoption of Christianity. Of course, the new religion could only treat this place as unclean. Согласно другой версии (According to another version), this name was given to the ponds in the XI century, at the time of the foundation of Moscow. At one time it housed a village, owned by the boyar Stepan Kuchka. Это был властный человек (he was a powerful man) who did not want to give his lands to Prince Dolgoruky. It is said that the latter was in such a rage after Kutcha's refusal, that he ordered to kill the nobleman, and to throw his body into the nearest pond, which became known among the people as “Поганый” (filthy). The third version is the most mysterious. In the Middle Ages, on that place, протекала небольшая речка, славившаяся своей чистой водой (ran a small river, famous for its clear water), that was used by local residents for drinking. But after some times, стали исчезать дети и домашние животные (children and pets began to disappear) and unexplained phenomena occurred. Rumours aroused among the people that a monster had settled in the vicinity demanding sacrifices so a dam was erected. Люди перестали брать в ней воду (people stopped fetching the water there) and started to throw their garbage in it. Soon, the place became a filthy swamp. In the XVII-XXIII centuries, a settlement of merchants settled there, next to the swamp, called it “Поганый” (filthy) and threw into it all their rubbishes. Many years went by before соратник Петра Великого (Peter the Great's companion of arms), his Serene Highness Prince Alexander Menshikov drew his attention to this place. Он приказал очистить пруд (he ordered to clean the pond) and make new arrangements around it, and prohibited to throw any litter on pain of cruel punishment. It took three years to end the work. But старожилы крестились (old-timers were baptised) and whispered that Menshikov had smashed the rotten place, и теперь ему не поздоровится (and now he'll have to pay for this). We offer flexible courses of Russian language of different Intensity and duration. If you are aimed at learning Russian as fast as possible, apply for one of our Intensive Programs of the Russian language. If you are working or studying in Moscow, we offer you our part-time programs to study Russian language in the evenings or on the weekend. And he did pay: a few years later, светлейшего князья вместе с семей сослали в Берёзов (his Highness the Prince and his family were exiled to Berezov) in Siberia where he died. Muscovites said that the monster found him in his remote place and made him pay for disturbing him in his resting place. Since that time, no one would drink water from the ponds and avoid swimming in them.